I love challenges! So when someone finds something that catches their eye and they say to me “do you think you could make this for me?”, I jump at the chance to prove that I can. Some of my favorite hand crafted items have come about this way. One of my recent ‘nailed it!’ moments came with these adorable crochet booties for a baby, custom designed to resemble cowboy boots. 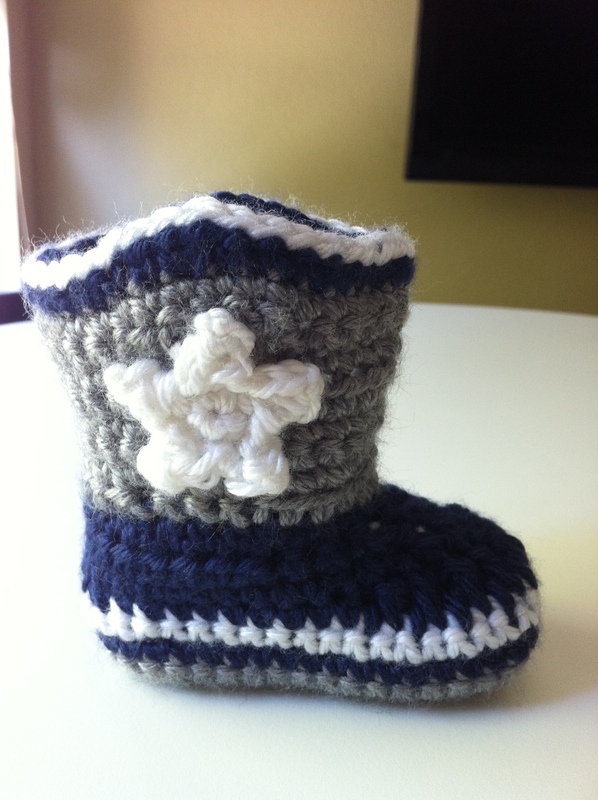 Using NFL team colors, the boots were made specific for a Dallas Cowboys fan. I found the pattern on Etsy, where I get most of my crochet patterns. The Lovely Crow shop has some easy to follow and detailed patterns. 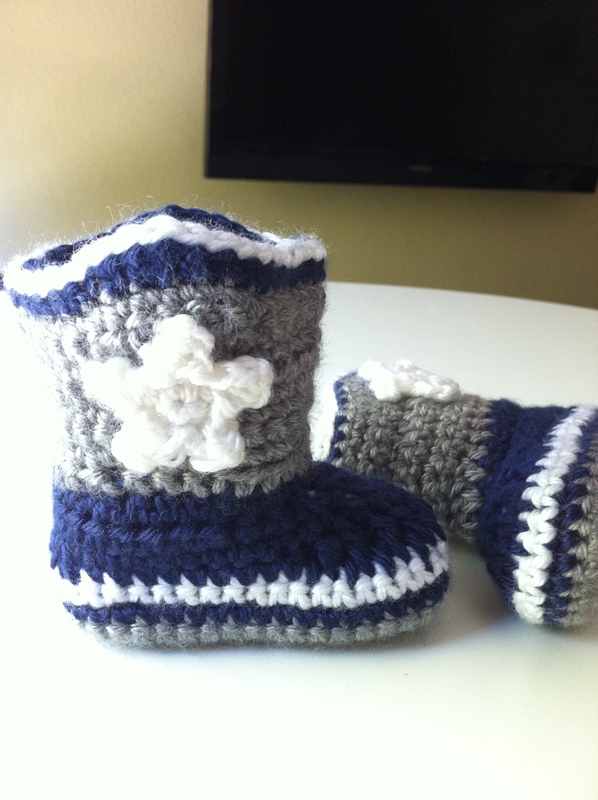 This pair is a baby size 3, made for a petite 3 month old. These would be sooo cute in a tan/brown combination! Maybe I will find some time to make up some samples.